We spent two nights in Deming, it was a stopover for us. I don’t really like driving more than 3 or 4 hours at a time. So Deming got us to that point heading east from Benson, AZ. We were parked at the Low-Hi RV Ranch. 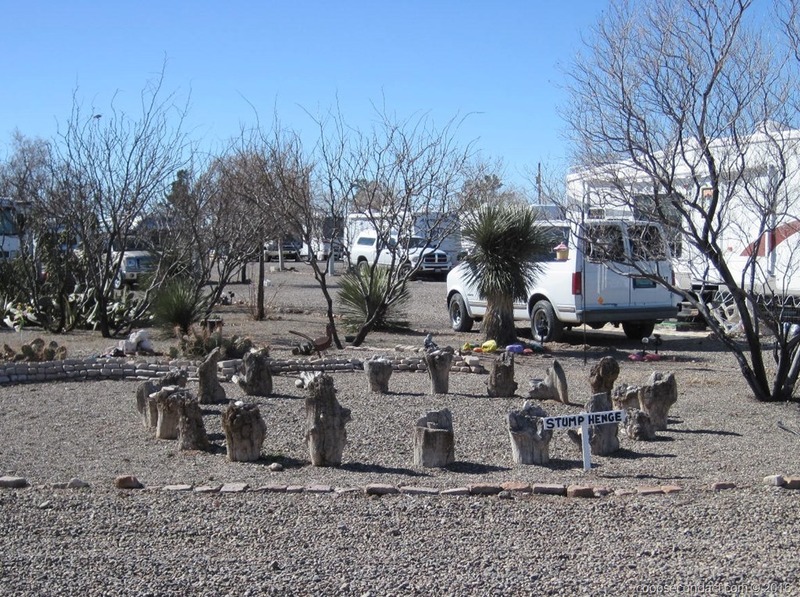 Overall, it’s not a luxurious RV park but it is clean and the staff provides good customer service. Mostly we appreciated how they expressed their sense of humor and whimsy by creating some little “gardens” around the park and naming them. There was the “Pyramid of Geezers”, “Lizard Graveyard” and “Stumphenge”, which is pictured above. 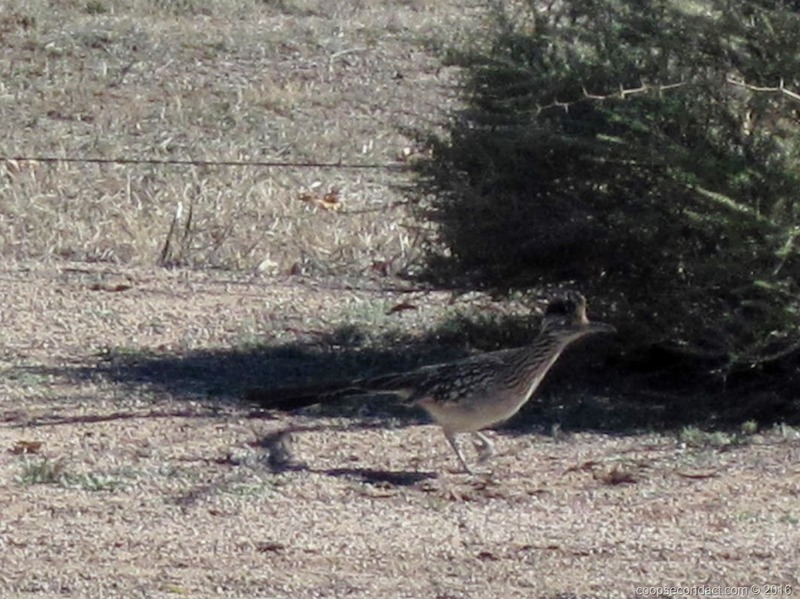 Then there was the iconic Roadrunner.